Dane Warren Real Estate Testimonials / Reviews by our Clients. Dane keeps abreast of the constant changes in the real estate market today through continuing education. He has earned the designation of Certified Residential Specialist (CRS) and Graduate Realtor Institute (GRI). Dane remains in the Top 1/2 of Top 1% of Closing Volume Brokers year after year in North Carolina using his skill set to provide you the best results during your real estate transaction. Dane is a member of the Charlotte Regional Realtor Board and National Association of Realtors. As a leading sales professional, Dane and Marie are immensely qualified to provide real estate services here in the Metro Charlotte area and surrounding counties. Dane Warren's knowledge and expertise of the real estate market is second to none and his 21 years of success speak for itself. Dane is known for the outstanding service he provides, as well as the savings he provides to all of his clients . Not only does he pride himself on his professionalism and attention to detail, but he thoroughly enjoys working with many different people and catering to their specific wants and needs. In 2000 Dane was awarded the Certified Residential Specialist designation, the highest credential awarded to residential sales agents, managers and brokers. With over 21 years of experience as Broker in Charge and Co-Owner of Dane Warren Real Estate, Dane's clients can be sure they are receiving top notch representation when it comes to some of life's most important real estate decisions with a focus on quality of life. Dane Warren Real Estate will provide more than words. 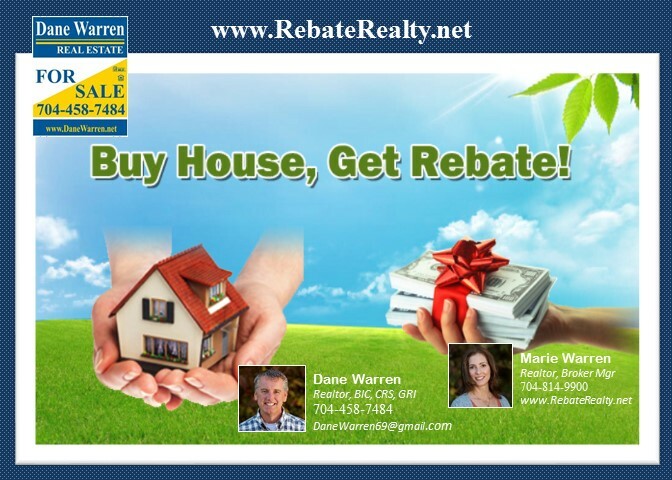 Dane Warren Real Estate delivers results within the time line each client wishes. Dane and Marie has 50 Team Brokers stationed around Metro Charlotte to help our clients as needed with their next real estate transactions. We are not an internet based local or national company. We are not the largest nor are we the fastest growing Real Estate Company. We are however, a prominent well established Mid Size Metro Charlotte Real Estate Firm with our main office located in Ballantyne providing custom programs with our skilled brokers for our clients. Dane Warren Real Estate is able to provide a high level of experience from living and working Real Estate in the Metro Charlotte area and by having closed over 3309 properties. We can give you more information concerning your home, neighborhood and town than you will find on Google or other real estate search sites. We have serviced the Metro Charlotte Area and Piedmont Region during our 21 years and have built a strong referral base we are proud of. The current market generates more questions than answers for many homeowners, potential home buyers and tenants. Have you been thinking about selling your house? Have you been thinking about purchasing a house? Or both? Unsure of what you should do in the current market? Let us complete a comparative market analysis of your home. It's free and it may give you the peace of mind your looking for.